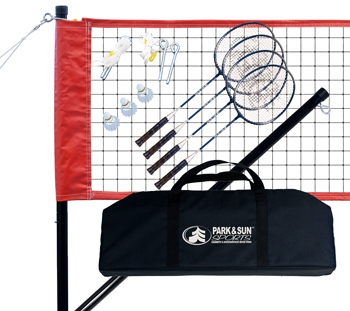 The Park & Sun Sports, Sport Series portable outdoor badminton net system includes everything needed for a fun and competitive playing experience. 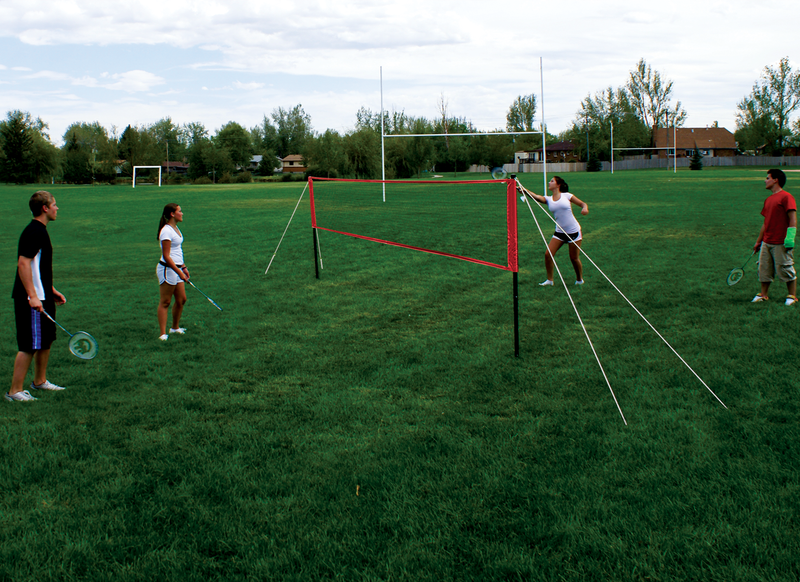 It offers exceptional recreational performance for outdoor tournaments, friendly gatherings at the park or even your backyard lawn. 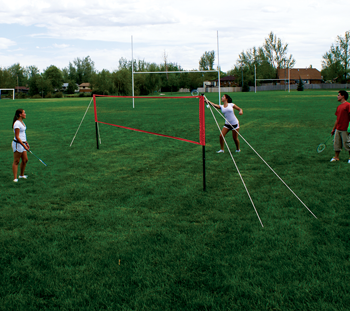 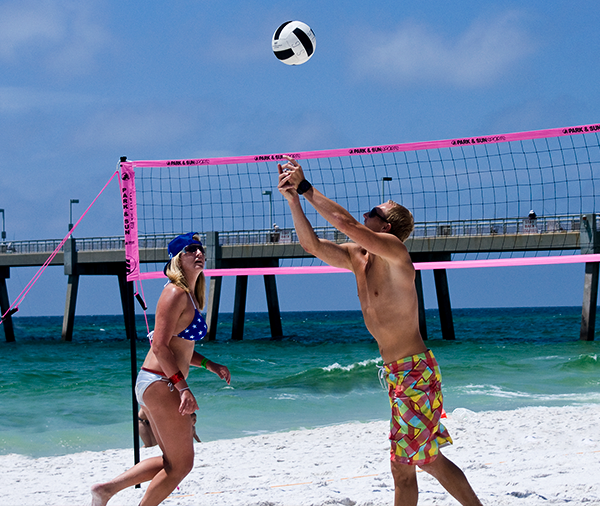 This badminton net system is designed with premium, steel poles that measure 1" in diameter. 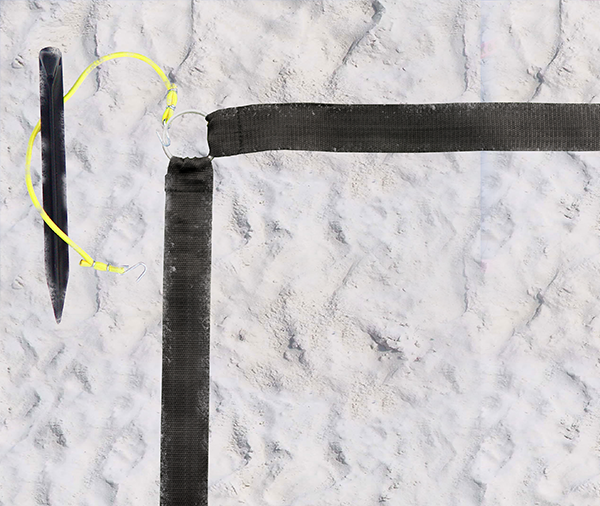 These 3-piece poles feature a push-button locking system, allowing for quick setup. 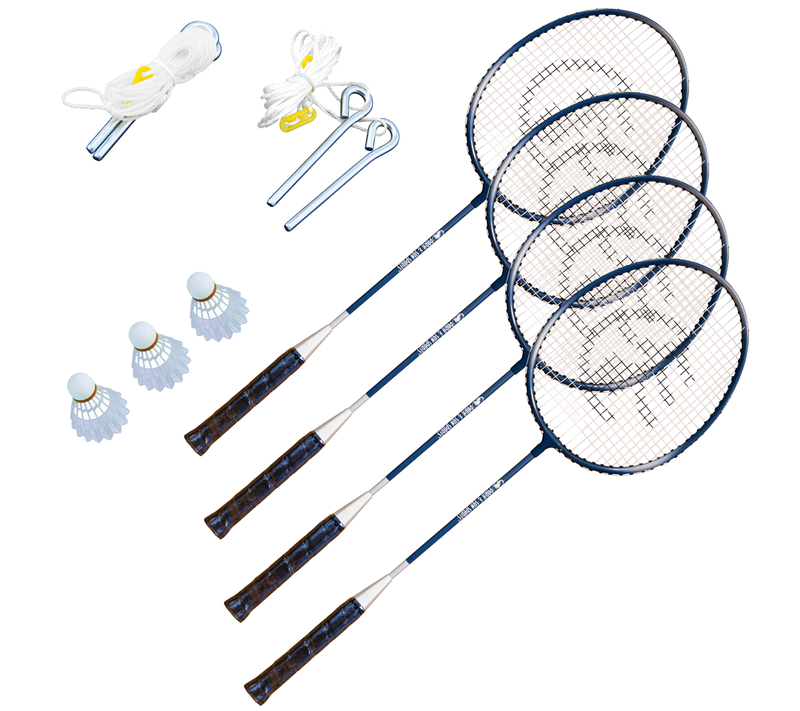 The Park & Sun Sports, Sport Series badminton system features a regulation size net, which measures 21' L x 30" H. This nylon blend net has 1" top and bottom tapes with reinforced corners, and is equipped with convenient side sleeves, which distributes the net tension evenly from the top to the bottom of the net. 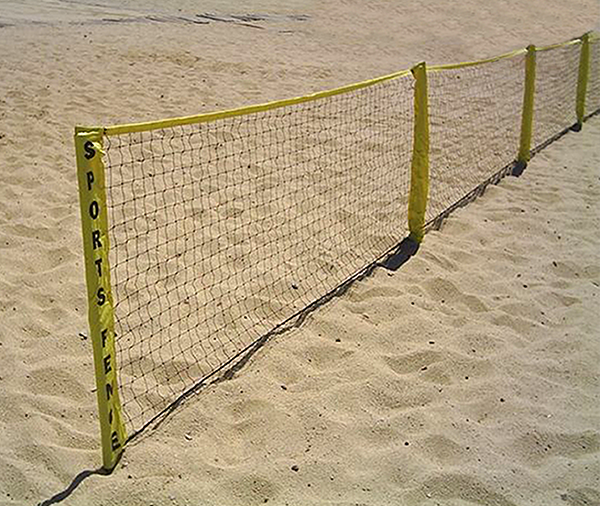 Nylon blend netting is superior at withstanding harsh weather compared to lower-end polyethylene (PE) nets, so you can enjoy the game for years to come. 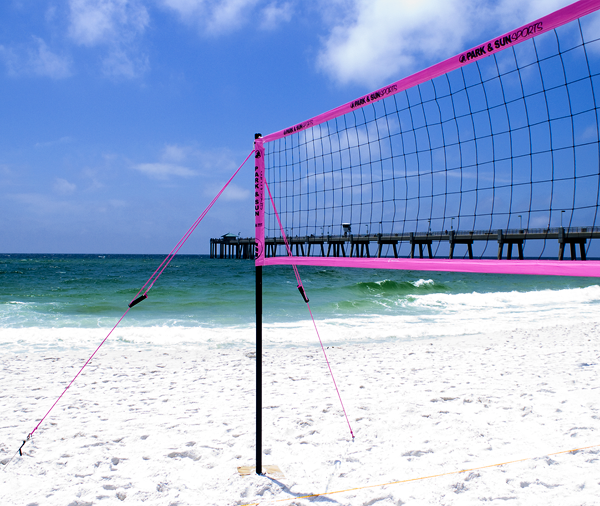 The double guyline with tension rings allow for quick adjustments that ensure the net remains taut, even during rough play. 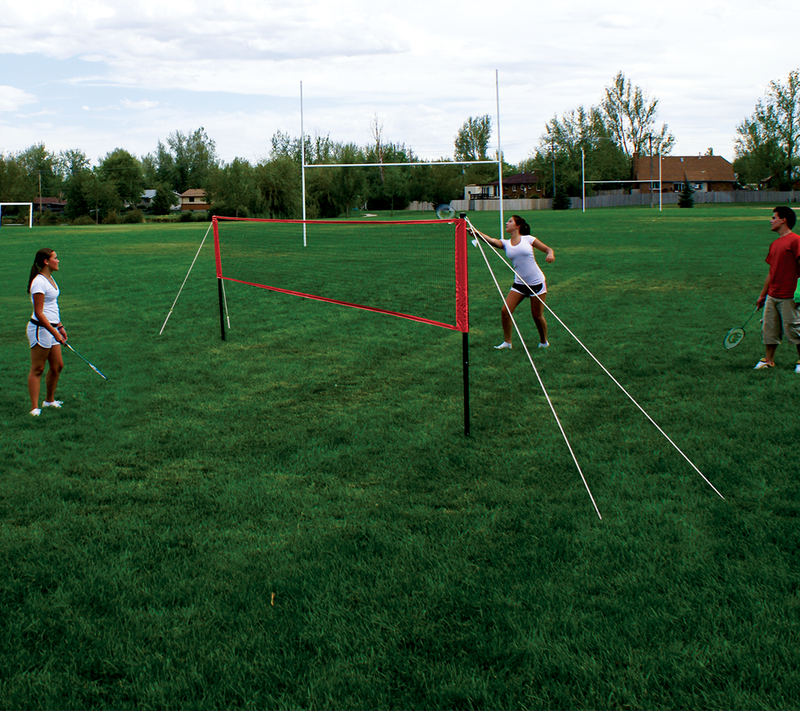 For added stability, (4) 10" PVC ground stakes are also included. 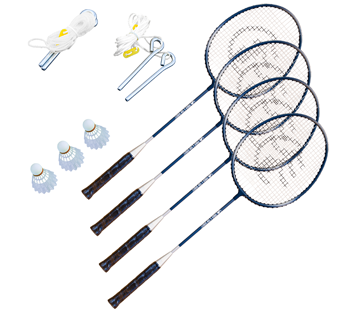 This comprehensive net system is furnished with 4 aluminum badminton rackets and 3 A-grade nylon shuttlecocks with cork tips, letting you get outside and playing without delay. 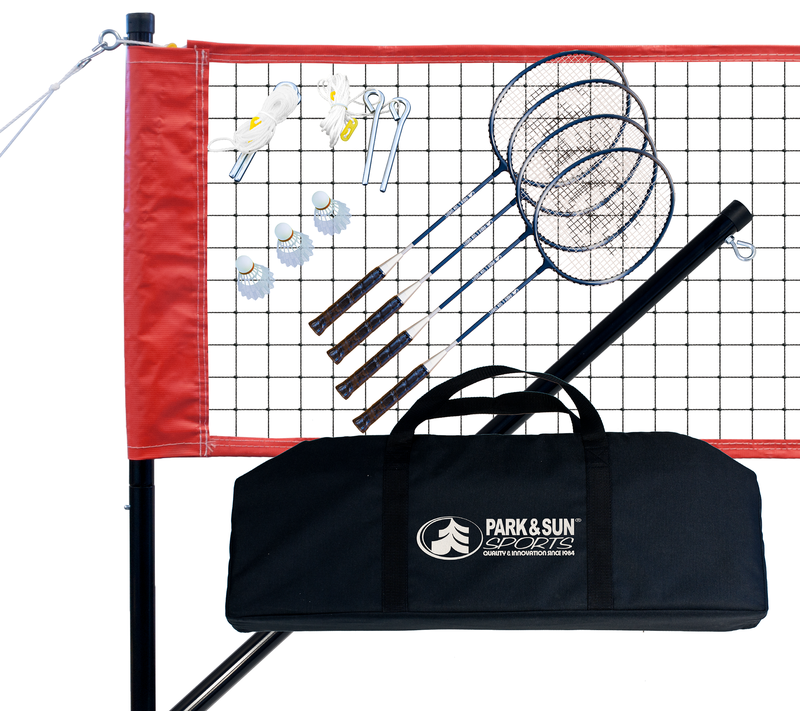 This entire set fits inside a heavy-duty polyester zippered equipment bag with carrying handles; making transporting and storing extremely convenient.